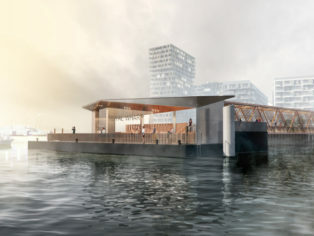 Construction has begun on the Royal Wharf Pier – a new riverboat terminal incorporating a large new public space on the Thames – designed by London-based architects Nex—. 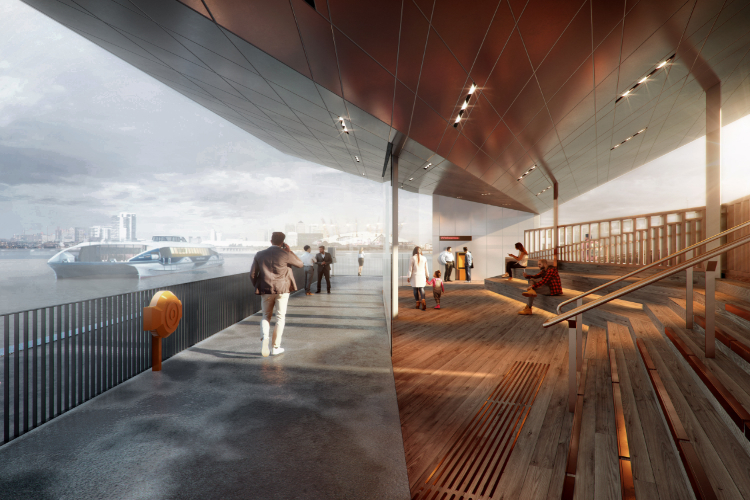 Royal Wharf Pier, located in Ballymore and Oxley’s Royal Wharf development in London’s Royal Docks, will be the most distinctive pier on the Thames with unique river views, and marks the practice’s first major venture into infrastructure. Commissioned following an invited competition in 2016, Nex— were selected for their innovative response to the site’s unusual constraints, creating a solution that harnesses infrastructure as an integral part of valuable public realm. 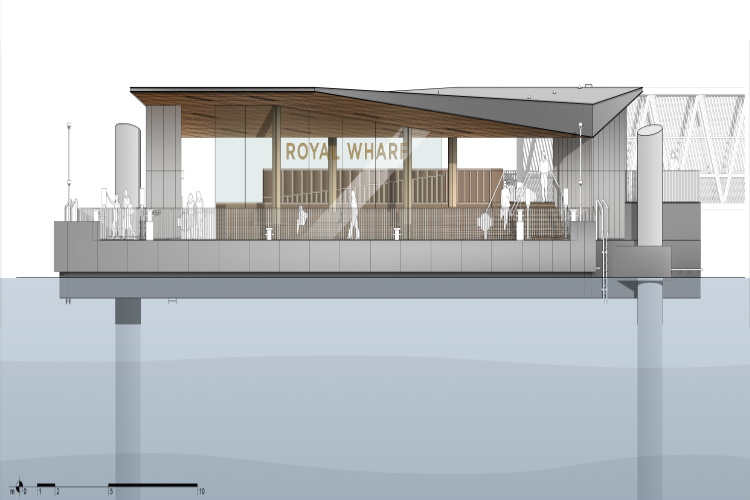 As a result, Royal Wharf Pier uses strikingly contemporary design to replace an existing derelict jetty, addressing the practical requirements of MBNA Thames Clippers’ traffic while also providing a unique and generous public space that can be enjoyed by all. 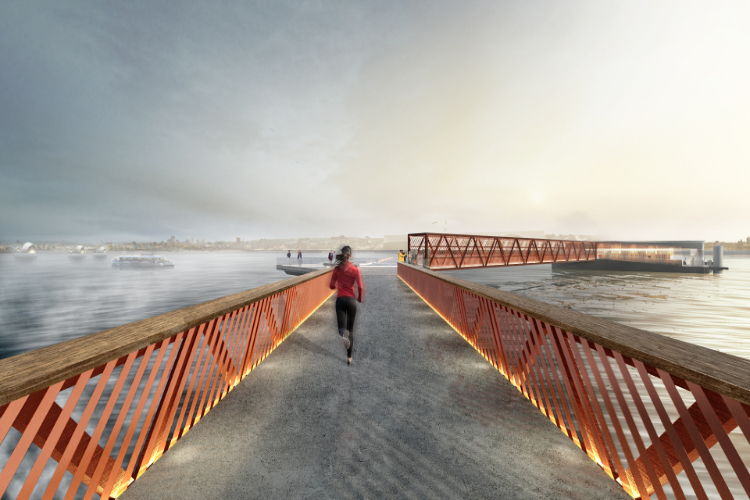 The fixed element of the pier acts as a linear open space, reminiscent of traditional British seaside piers. This frames long, straight views towards the horizon, and leads users onto a 162m2viewing platform set upon the river. Featuring integrated seating and elegantly finished with durable marine grade timber, this is a generous and peaceful space that invites people to linger, relax and admire the unique views up and down the Thames. 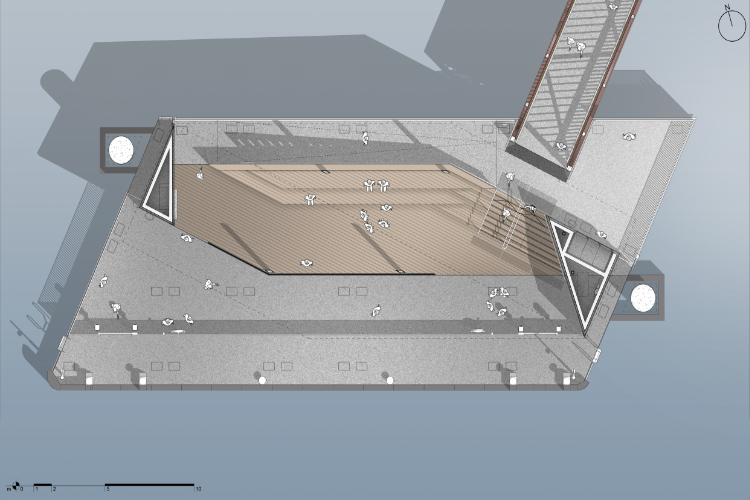 The viewing platform separates the linear public realm from the floating gangway and pontoon of the MBNA Thames Clippers terminal through distinct angles in the pier’s design, making this appear seemingly infinite from the river edge. Here the pontoon’s sheltered waiting area comprises a second timber ‘island’ – with integrated furniture and displays – enclosed in a metal shell, providing warmth and protection from the elements. 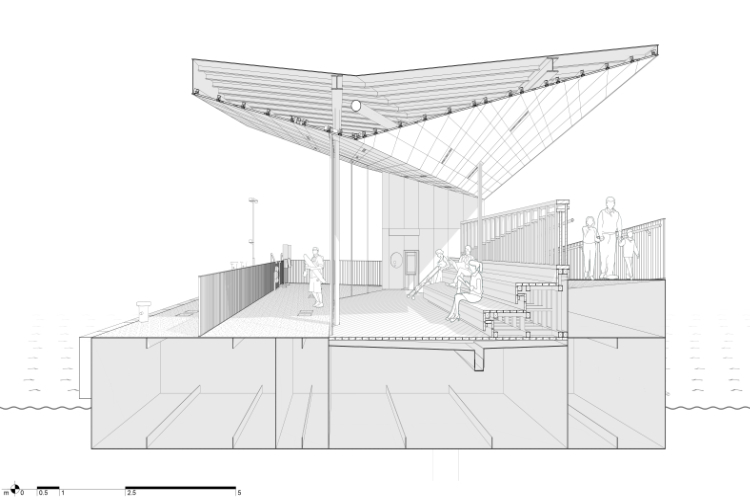 The shelter’s design showcases a playful and contemporary response to more traditional pier design. 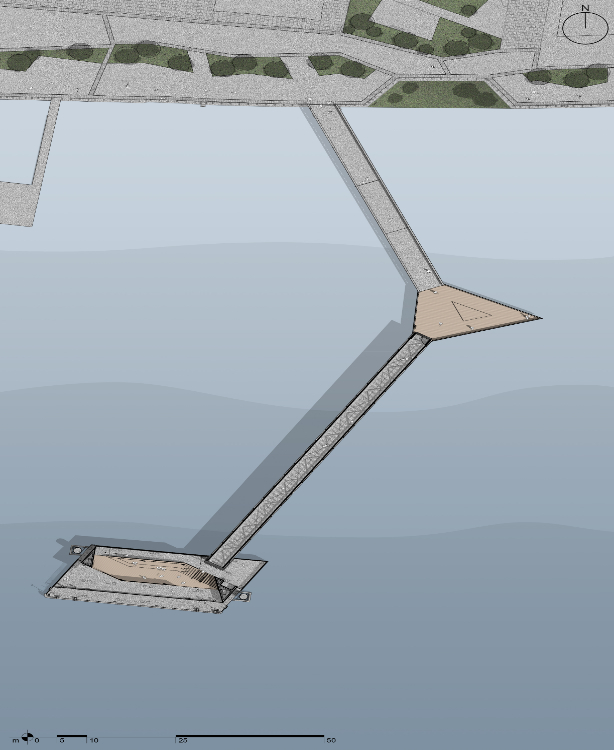 The elevations are based on a regular rectangular form, cut and folded to align with the angles established by the pier’s path into the river. Similarly, a skewed and cut back roofline slopes to direct views down the river towards Canary Wharf and The O2. 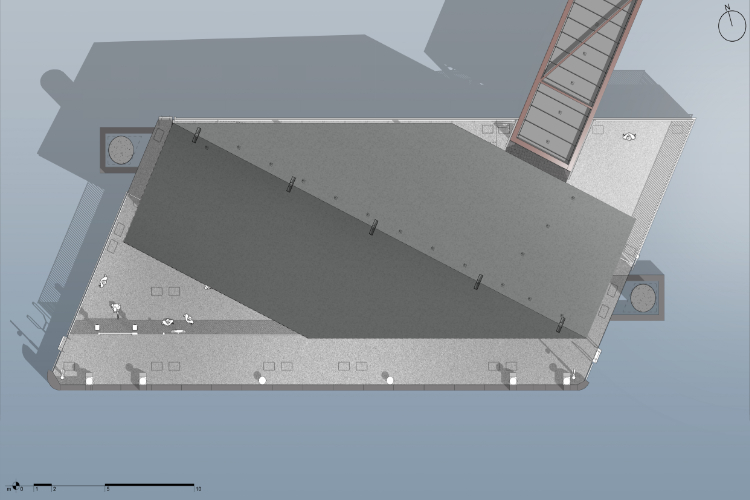 The layout creates increased open space around the shelter, allowing boats to dock easily and providing ample space for passengers. The large structural elements supporting the pier are concealed behind diagonal timber battens, enhancing an impression of weightless floating. 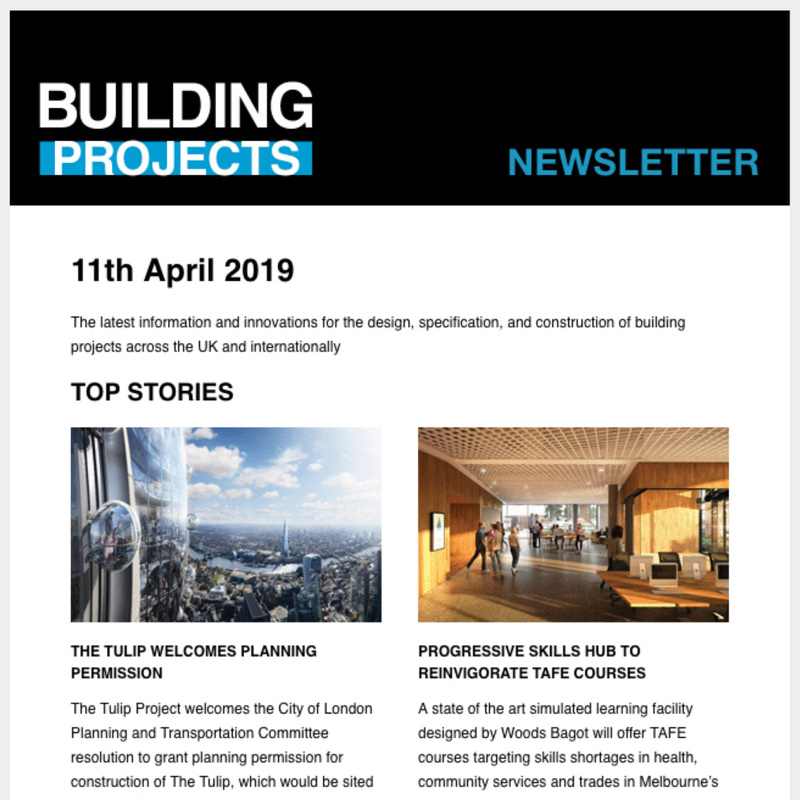 Royal Wharf Pier is part of the Royal Wharf development by Ballymore and Oxley. This new neighbourhood for London will comprise 3,385 riverside properties housing around 10,000 residents and stands within the £3.5bn Royal Docks regeneration area. Its townhouses, duplexes, apartments and suites are inspired by the classical heritage of London’s great squares and neighbourhoods and are focused around Sovereign Place – a new market square filled with shops, restaurants, bars and cafes. 45% of the 40 acre development is devoted to outside space, including a 500m riverfront promenade. 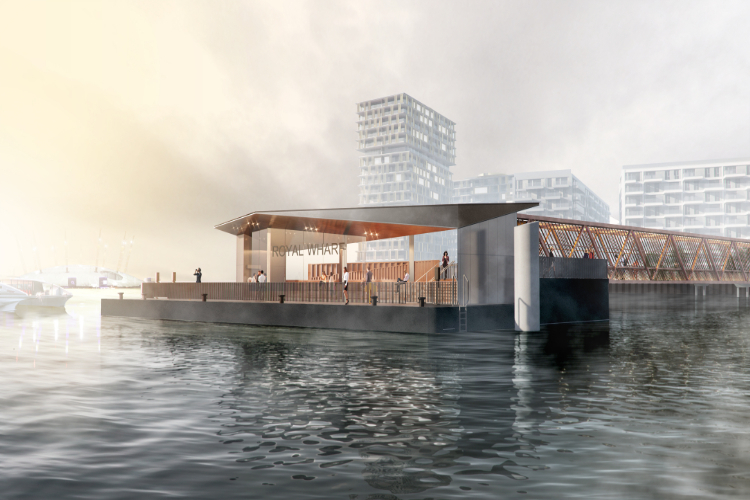 Royal Wharf Pier is anticipated to open to the public in late 2019.